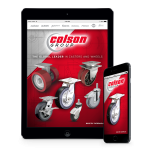 Colson Caster Corporation, the world’s leading manufacturer of standard and custom application caster and wheel products, has announced the availability of its newly redesigned and most complete product catalog to-date. 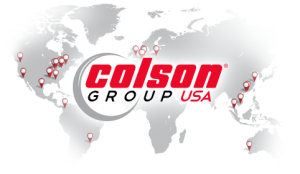 The Colson 2012 Catalog has been updated to not only reflect additions to Colson’s growing product offerings but also incorporate suggested changes from customers, such as expanded product specifications and photography. The popular, three-hole punched, 8 ½” x 11” catalog is still in its familiar print format with easy reference background materials and warranty information. For those times when an online search is needed, a full edition is also present on the Colson website. 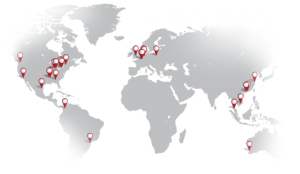 Colson has made its complete catalog available through its website in a simple, page-turning format with PDF format forwarding and search capabilities. To access this new tool, simply click on the 2012 catalog cover icon from the Colson website homepage. Colson has made sure the new catalog includes the latest additions to its expanding product line, including the Trans-form LT Wheel and L and G Series line of lighter duty casters. 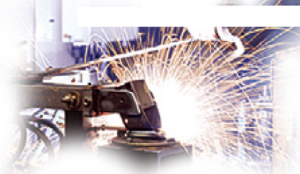 An expanded replacement parts section has also been referenced in the catalog per requests from Colson customers. 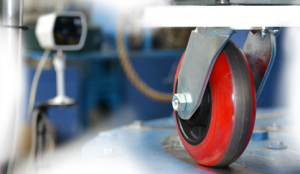 What’s more, customers will find additional information and specifications on Colson’s quality and economy line of Encore® caster and wheel products. The Colson 2012 Catalog is available now and can be ordered by calling 1-800-643-5515.